guess who was also at the lady gaga show. 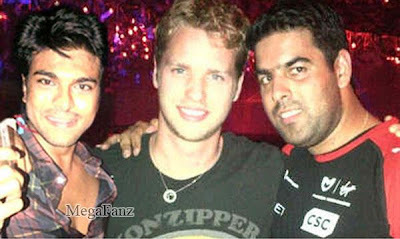 Sources say that Ram Charan was invited by Sam Branson (son of UK based business tycoon Richard Branson of virgin racing)to support the virgin racing team. He along with Sachin Duggal ( Nivio a cloud computing firm), Roma Khanna president of MGM digital out of LA and other music producers from the US were at their table. Sources say that they all enjoyed the fabulous performance of Lady Gaga and had a great time till the very end.